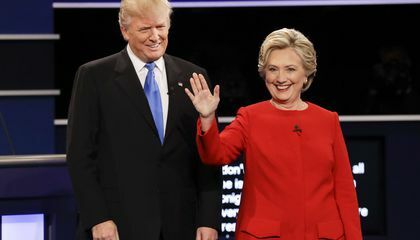 this was a very interesting article because it gets kids interested in politics and talking about the race between Donald trump and Hillary Clinton. In response to "Teachers Use Election to Spark Student Debate," I agree that teachers should use the election to teach kids about our country today. One reason I agree is that the election is a very good topic to get kids talking since the candidates are so familiar to people. Chances are, kids have heard their parents talking about the election from time to time, so they already know what it is. Another reason is that the kids need to learn about how an election works, and what better time to teach them than right now? It says in the article that "'Educating students about their role in a democracy was one of the original goals of public education in this country. And it should remain so today, as our nation becomes more and more diverse. '"A third reason is that by teaching kids about the election, the kids are getting the privilege to learn about worldly issues and have a say in what they really think about them. The article says that '"They're having discussions about race. They're having discussions about religious freedom. They're having discussions about should girls aspire to be president as likely as a boy would aspire to be president.'" Even though both presidential candidates have many flaws, I think that it's good for kids to learn about the election and see what it really is all about. In response to "Teachers use election to spark student debate," I agree that schools are allowing students to have a say in politics. One reason I agree is that everyone including kids should have a say in politics. Another reason is that it is important that everyone knows about who can become president. It says in the article "We kind of have debates and never yell at each other," says 9-year-old Mia Dahi. "We give our opinions and what we think about it, but we don't really fight about it." A third reason is that it is not just important to know who can become president, but why. Even though kids don't know all of the details, I think kids should still understand what is taking place in the U.S.A.
it teaches kids a good life lesson. In response to "Teachers use Election to spark student debate," I agree that schools should be engaging the presidential election more. One reason I agree is that I think that we should be learning more about our government and how it works. Another reason is that I think that it would be really cool to compare past presidential elections to the one happening right now. It says in the article that "It's also opened the door, though, to some good debates." A third reason is because "It's part of social studies. It's part of civics. It's part of government," she said. Even though the debate can be harsh at sometime, I think that it is always good to learn about. In response to "Teachers use election to spark student debate," I think this is inportent because in the futre we can make better desions . One reason I think that it is importent is we can make a better deceions on our futre presidents when we vote. Another reason is that it lets the parents know what their kids want so the kid might presway the adult for votting for trump or clinton. It says in the article that the children of america have a voice in this world as well because it will be the new genarations president. A third reason is that if we choose the wrong president things will go bad and America will not like this so when students vote the people can see that.Even though this might not count at all, I still think that this is a good idea for us and the teachers. In response to "Teachers use election to spark student debate," I agree that bringing the upcoming election into the classroom is a good idea because teachers can reinforce concepts they are already teaching their students, it gives students the chance to learn about different viewpoints, and it helps students get answers to questions they have about the election. One reason I agree is that the election gives teachers more ways to teach math, social studies and language arts. For example, the article says, “students have learned about the magic of the number 270. 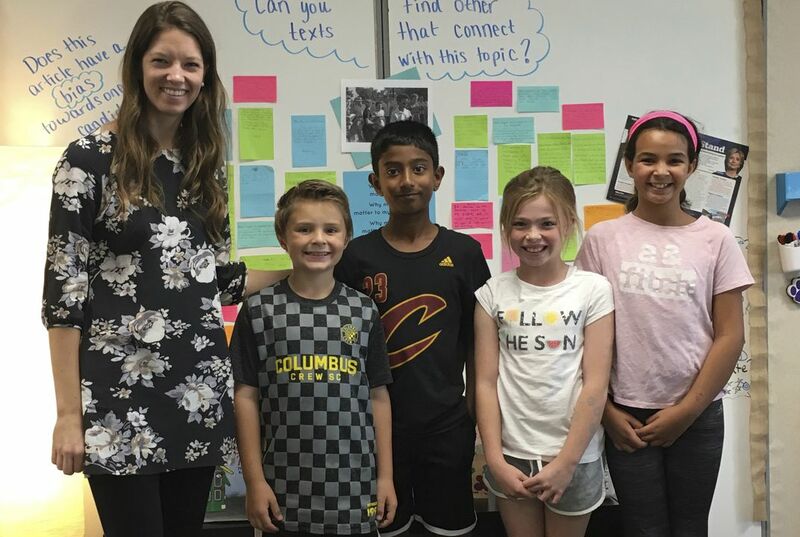 They use addition and subtraction to come up with different combinations to get to 270 electoral votes to claim victory.” Another reason I think that teachers should use the election in their classrooms is it exposes kids to new views and opinions. In the article, it says, “one student asked what a Muslim was, and why Trump wanted a temporary ban on Muslims entering the country,” which gave the teacher a chance to discuss the Muslim culture in her classroom. Finally, I think this is a good idea because kids need answers to questions they have about the election. The article states that, “They hear things at home or on the news and they just need someone to help connect the dots.” Even though some people might think this election is too controversial to talk about in school, I think that there are more advantages than disadvantages. Mock elections boost engagement because they let kids talk about their opinion and get an idea for what the real election is actually like. It lets the students take part in something interactive and get a little bit better understanding of politics. I think the mock election is a good idea to teach kids about voting because they will be voting in the future. Also it is good to see the students learning about the candidates. Mock elections may boost engagement because getting involved and knowing your vote does count could change how people think about the real election. Voting for your candidate gives your full support for them and increases their odds for winning.